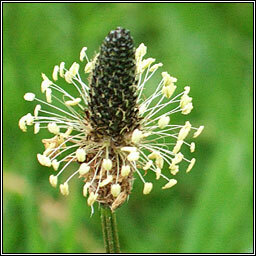 Habitat: Abundant on roadsides, gardens, arable and waste ground. The flower spike is shorter than the furrowed, silky-haired stem. Anthers are pale yellow-white. 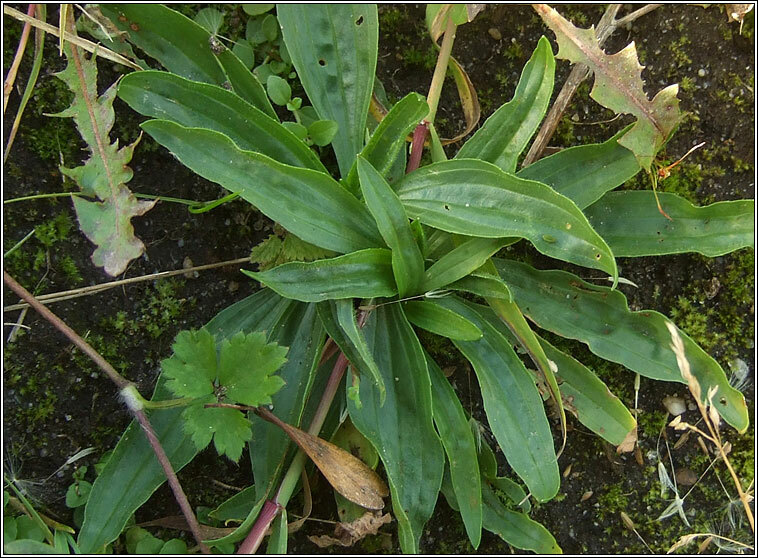 Basal rosette of spreading to more/less erect, linear to oval-lanceolate leaves.